The time of day that you use your dishwasher makes a difference. Power companies will often charge a higher rate for electricity during peak hours, which is usually the highest around 2pm. 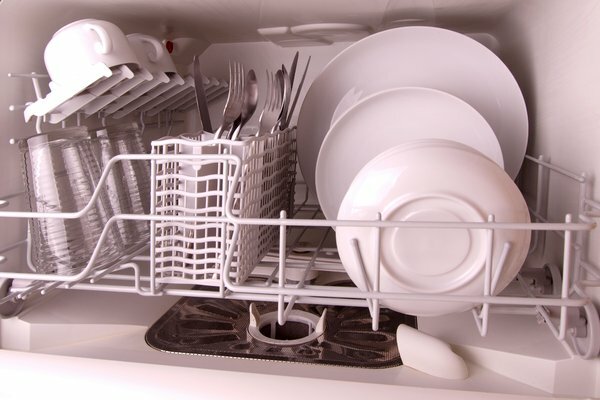 Try using your dishwasher between 7pm and 12pm the next day to maximise your savings by washing dishes off peak. Check the peak times and rates with your electricity provider. The different cycles on your dishwasher will use different amounts of electricity and water, which of course affects the cost overall. The heavier cycles will use more water as well as electricity as the dishwasher may be drained and filled four or five times during the cycle. A normal or light wash will normally be appropriate for your dishes and these usually fill around three times each cycle. Approximately 80% of the energy used by a dishwasher is actually for heating the water especially if you have a model that uses a booster heater. What you can do is reduce the heat on your hot water heater to 120 degrees from what is usually a factory setting of 140 degrees. This will help reduce your bill for hot water all the way around. Try running appliances that use hot water simultaneously to maximise the use of your hot water heater. How old is your dishwasher? Older models, over ten years old, are nowhere near as efficient as newer models that have Energy Star ratings to give you an idea of the running cost. When purchasing check the rating on the yellow sticker to make sure that you can maximise your energy usage and minimize the ongoing cost. 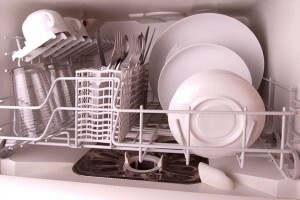 So if the worry about the cost of using a dishwasher has stopped you from using one you can think again, if you implement these ways of reducing costs the time that you save can be used to do the things that you enjoy doing rather than horrid household chores. Oh and if you are concerned about the water that a dishwasher uses compared to washing dishes by hand the research on that is still out and they have decided that there are two many different factors that vary with each person to be able to call it either way. Dishwashers are a great appliance, especially for busy families, that save a lot of time which is exactly what they are designed to do. By saving money on the cost of running your dishwasher you should be free to use it to make your life a whole lot easier.